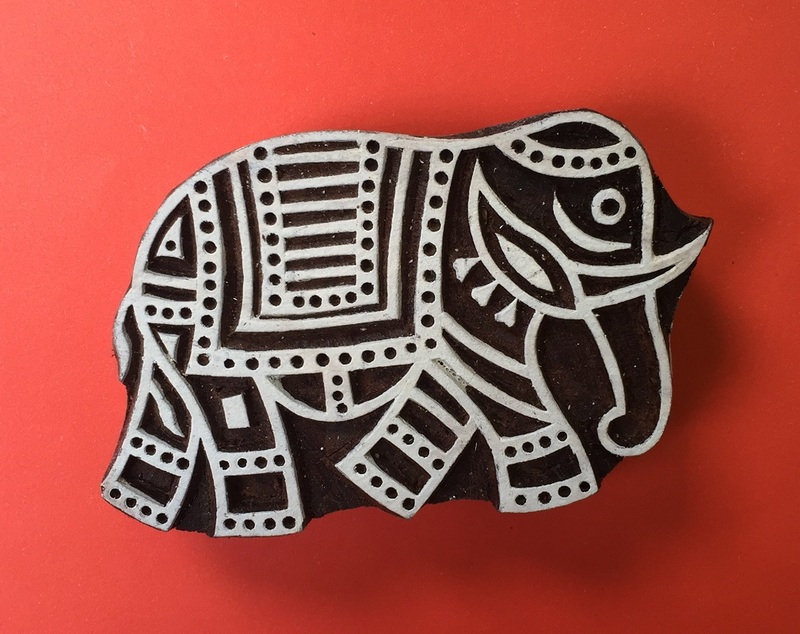 Our Featured Block for the end of July is our Large Elephant Printing Block, this design will be on Special Offer for only £12.00 until the end of August, only while stocks last!! 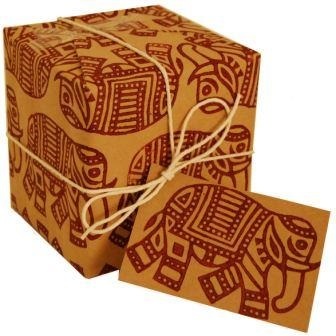 Click here to head to the product page to see more specific details on the Elephant Block & add to your basket! 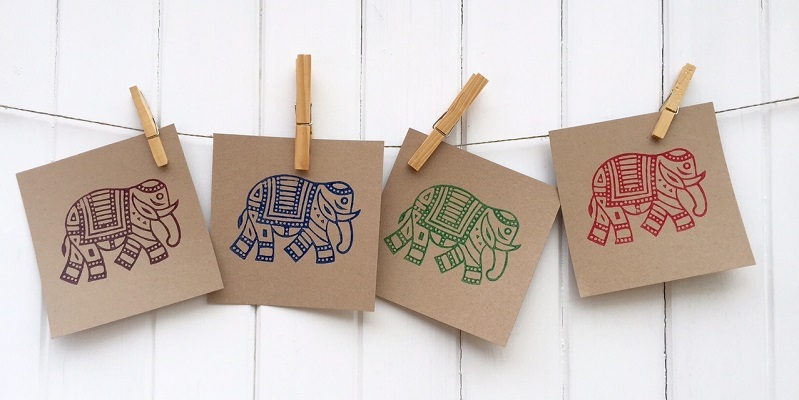 The Large Walking Elephant was our first design and our most popular since we first started selling Indian Printing Blocks 3 years ago, it’s a design which just never dates, and we think our Elephant is perfect for all occasions & all ages! 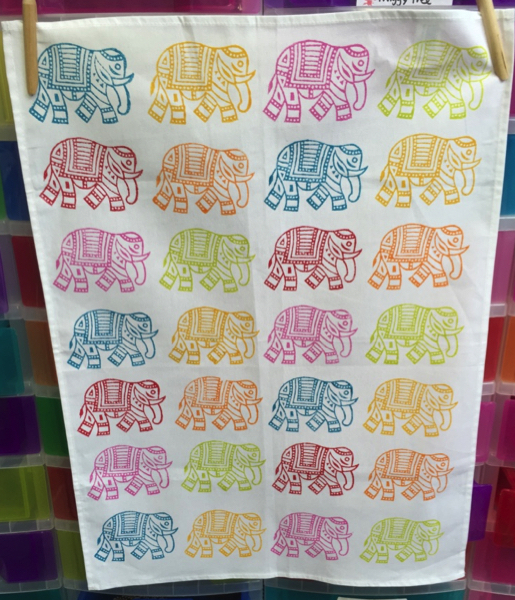 Many of you may have seen our Elephant colour chart at many of the shows we attend, and everyone always loves it! 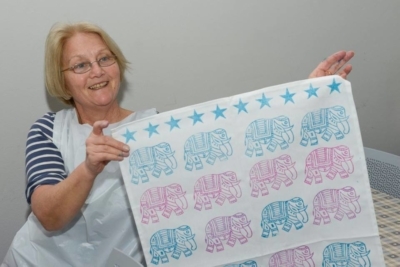 Take a look below to see what we have been printing with our Elephant…! 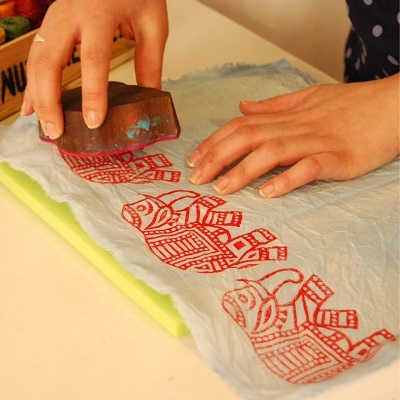 This funky cushion covers goes to nearly every show with us, and it always catches customer’s attention! 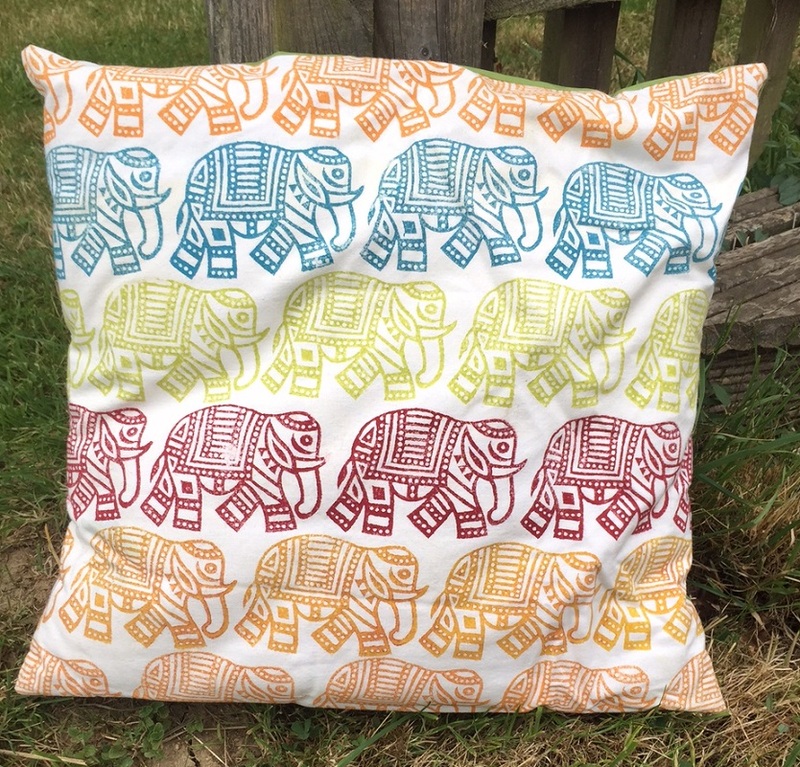 This cushion cover has been sewn together using old bed sheets that were about to get thrown out, but we thought we would give them a new lease of life! 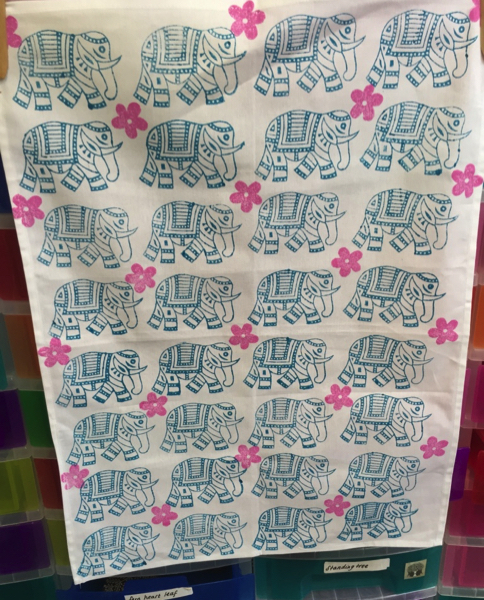 After printing the white bed sheet it was cut down to size and several cushions were made, the back fabric we used is actually just plain green, next time I think I will print both sides! 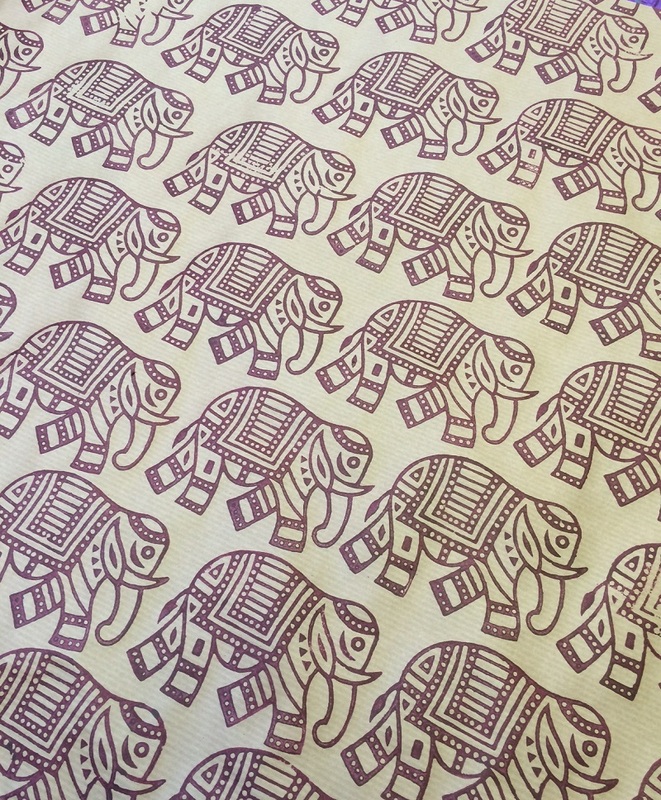 Hand printed Elephant wrapping paper has always been a favorite of ours, printed onto brown packaging paper with our Aubergine Fabric Paint! 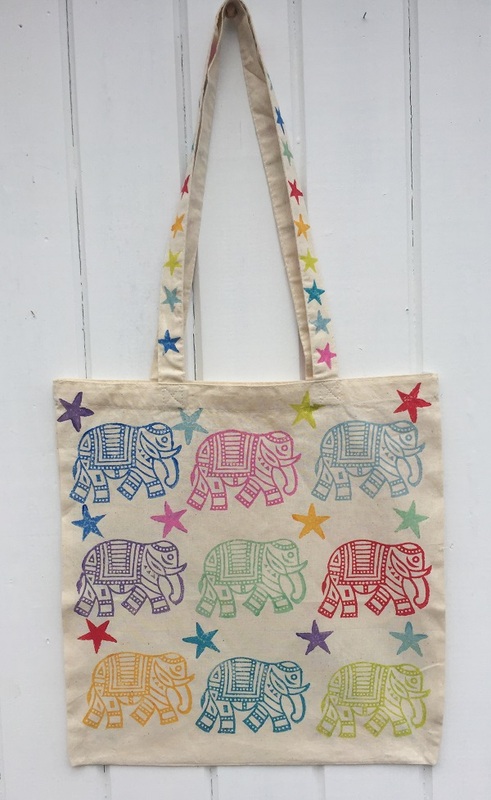 We think it’s a fantastic design for all occasions, and could even be made Christmassy by adding stars in between the Elephants!